Blended exclusively from Grand Cru Chardonnay grapes, this rosé champagne is elegantly sensual and full-of Reinart flavour. The nose is subtle with aromas of freshly picked cherries and a range of berries, interspersed with notes of flowers and spice. On the palate, this champagne is silky and voluptuous. 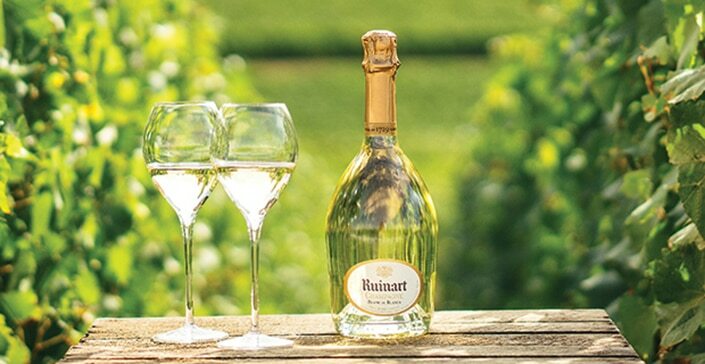 Ruinart rosé comes into its own served with fine slices of cured ham, salmon carpaccio or a leg of lamb.